Dr. Davis was born in San Antonio, Texas, but traveled some with her military family to destinations including El Paso, Hawaii, and Virginia. During her time in San Antonio she attended Incarnate Word High School. In 1999, Dr. Davis received a Bachelors in Biomedical Science from Texas A&M University. 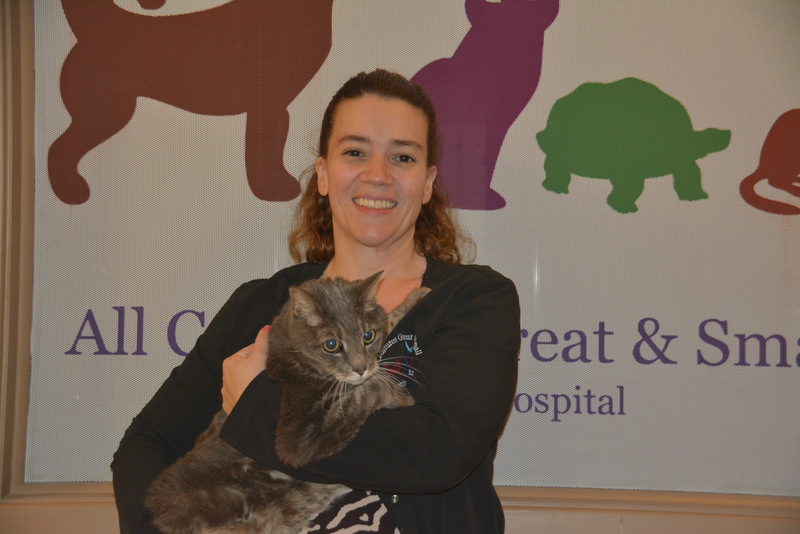 In 2004, she received her Doctorate in Veterinary Medicine from Texas A&M University. She worked in a large multi-doctor practice in El Paso for 10 years, but she felt the call home to San Antonio. Dr. Davis has a special interest in non-traditional species (including small mammals, avian and reptiles) and ultrasound. She spends her free time with her husband, four children, and pets.